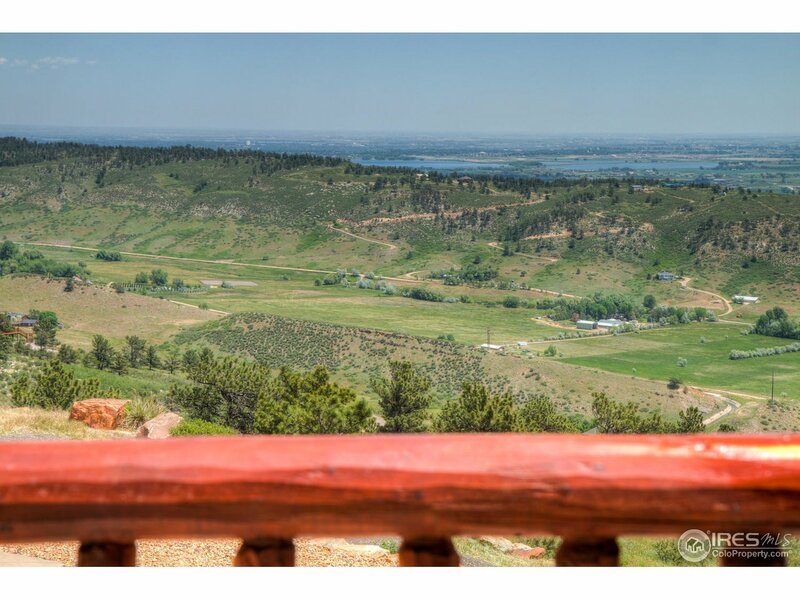 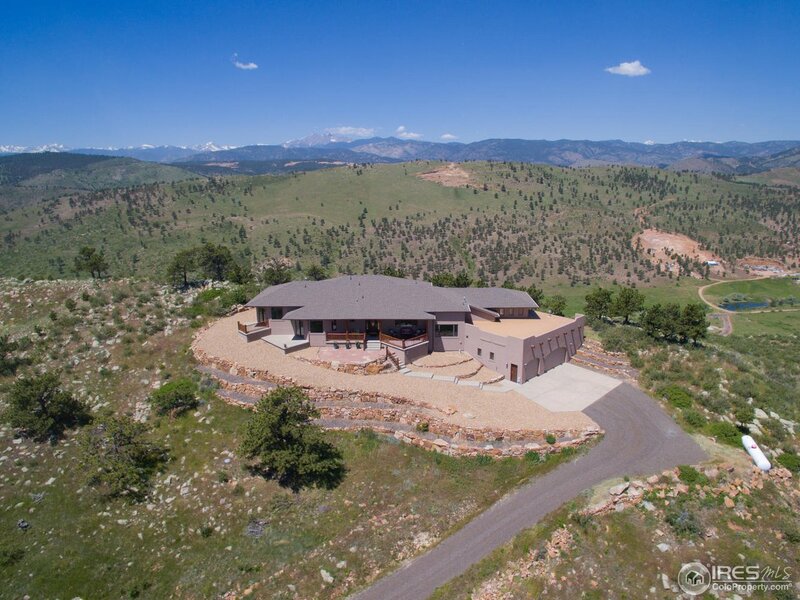 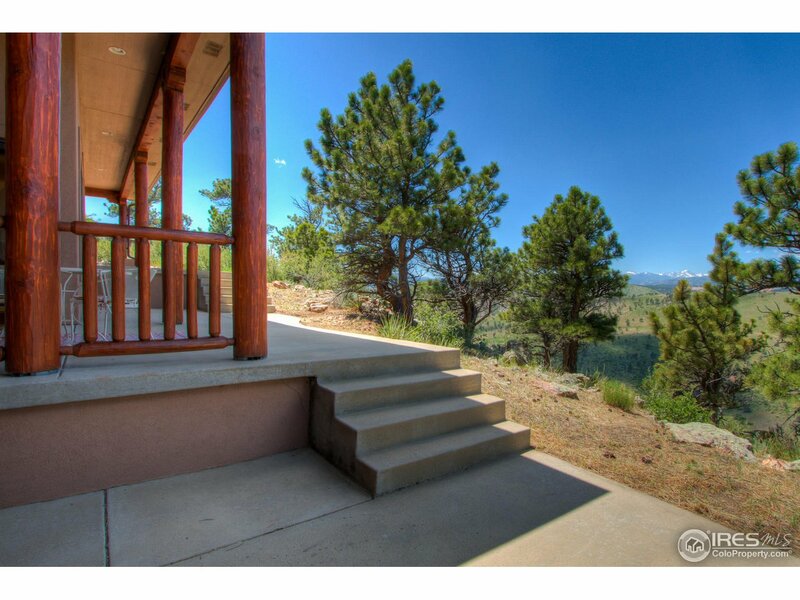 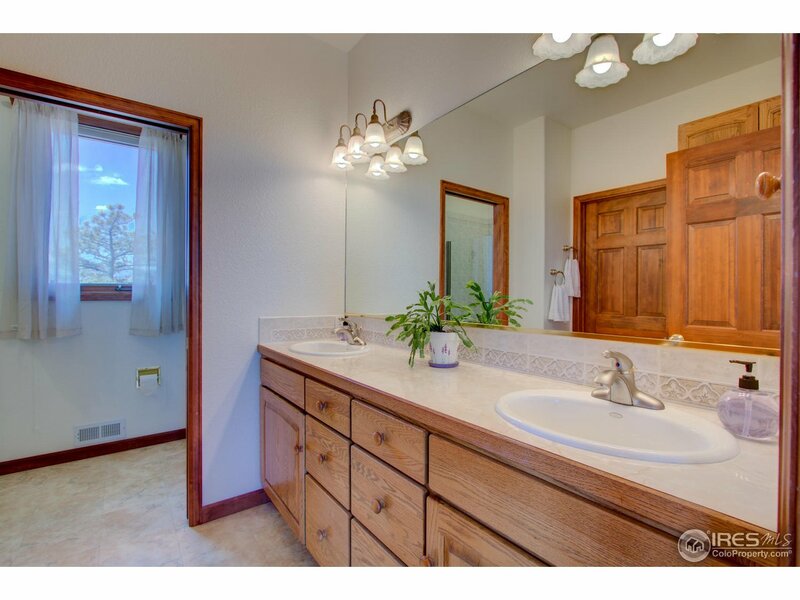 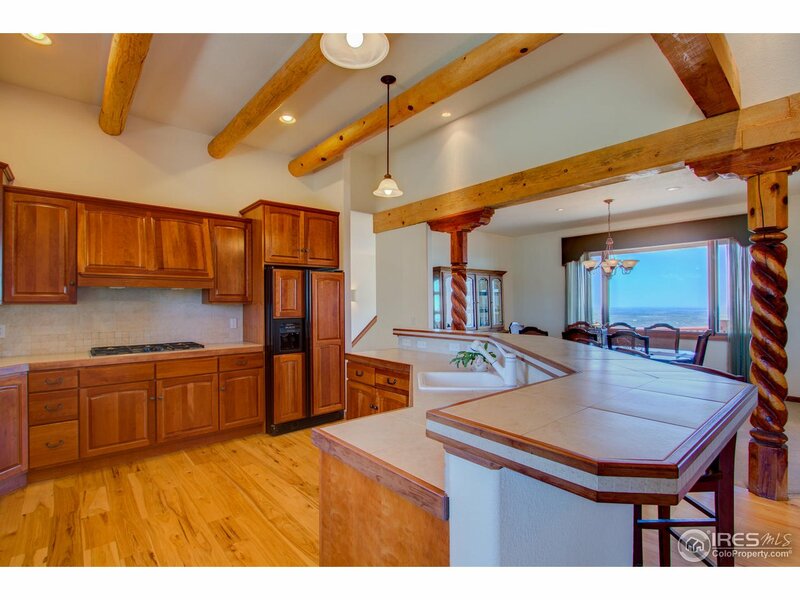 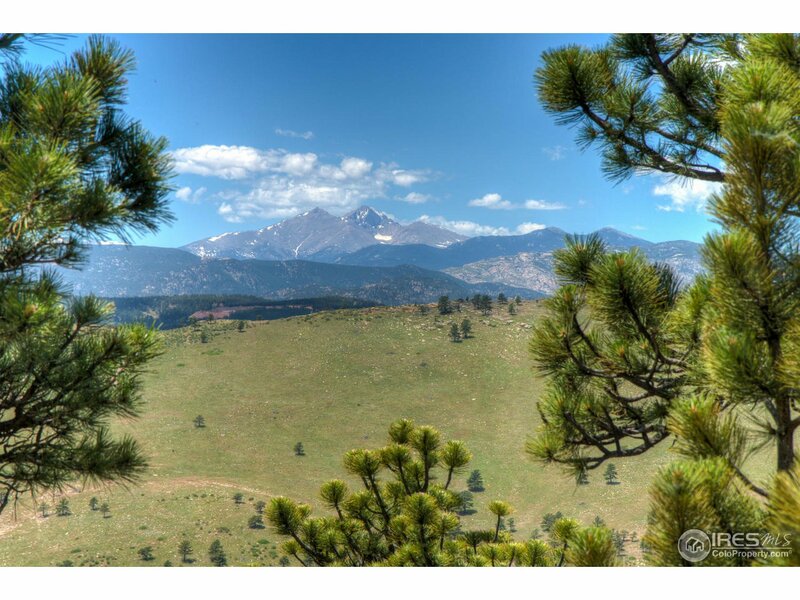 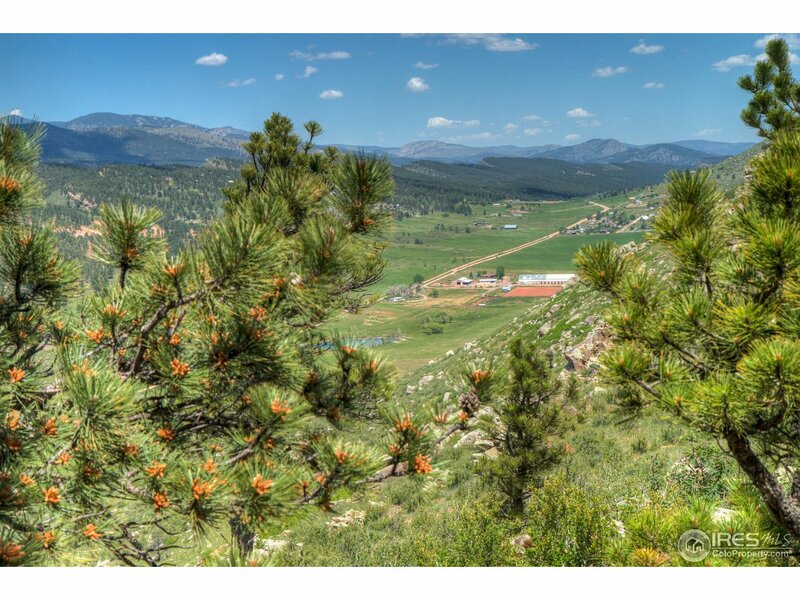 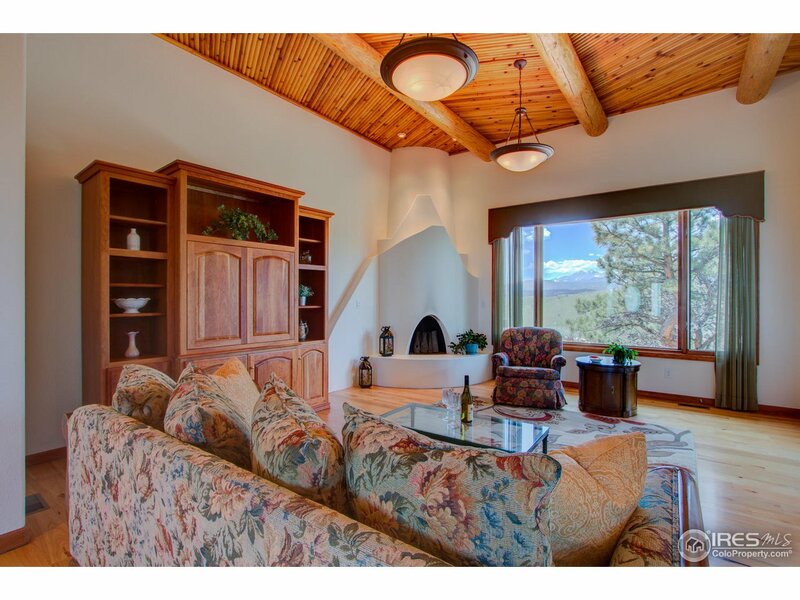 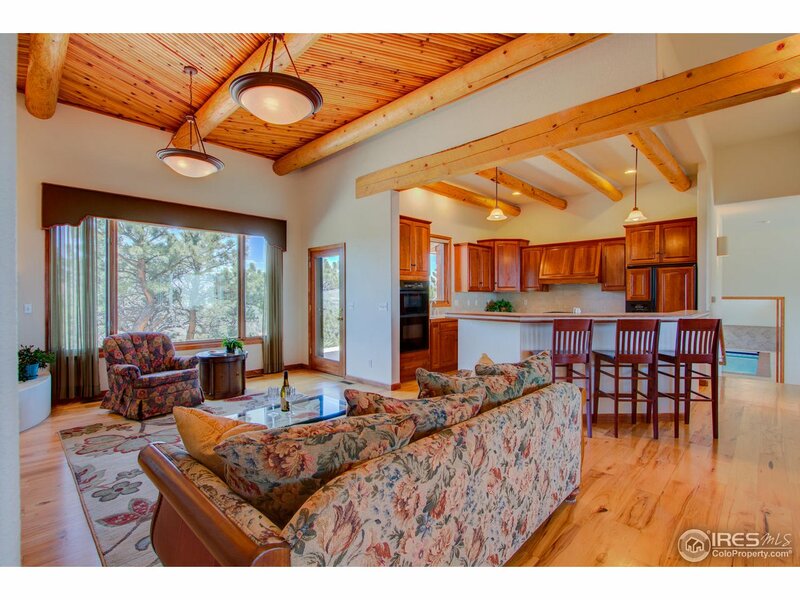 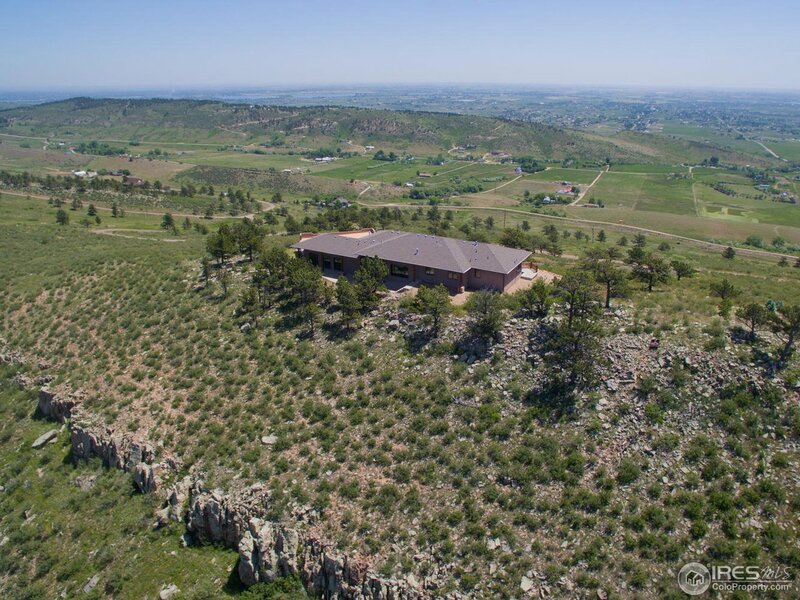 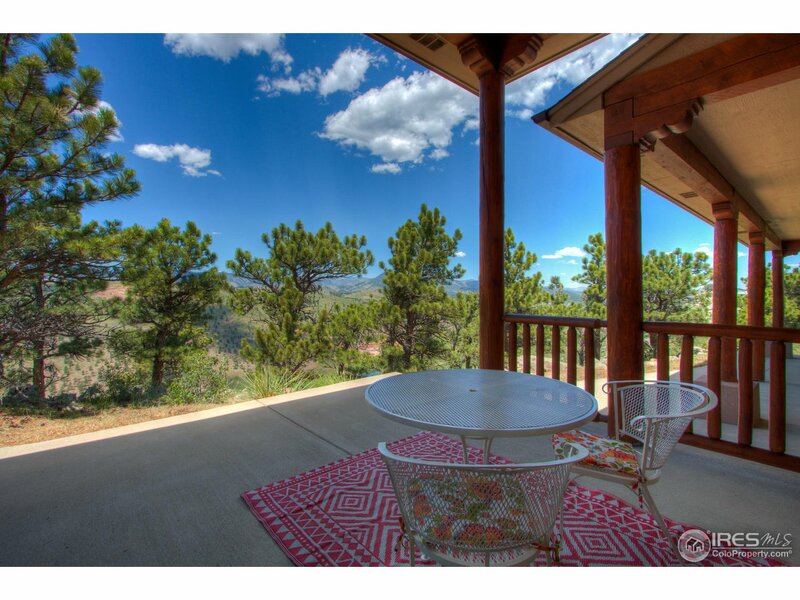 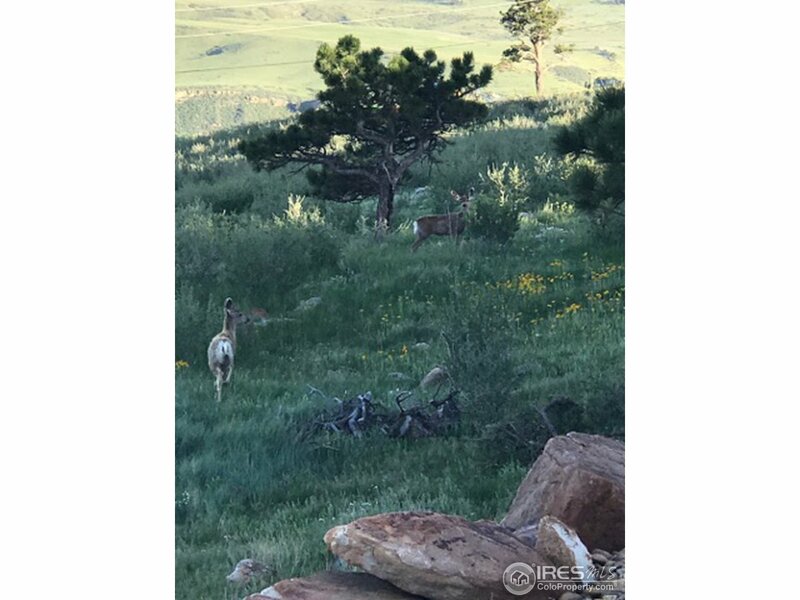 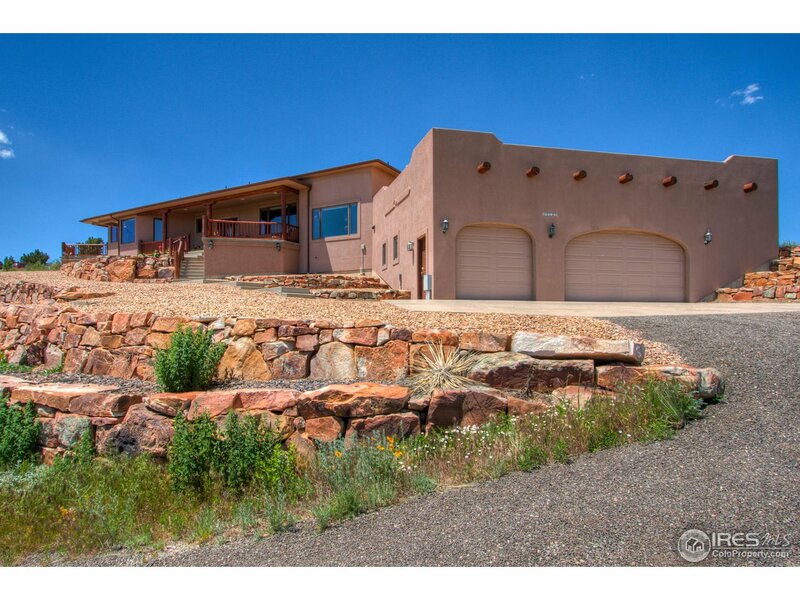 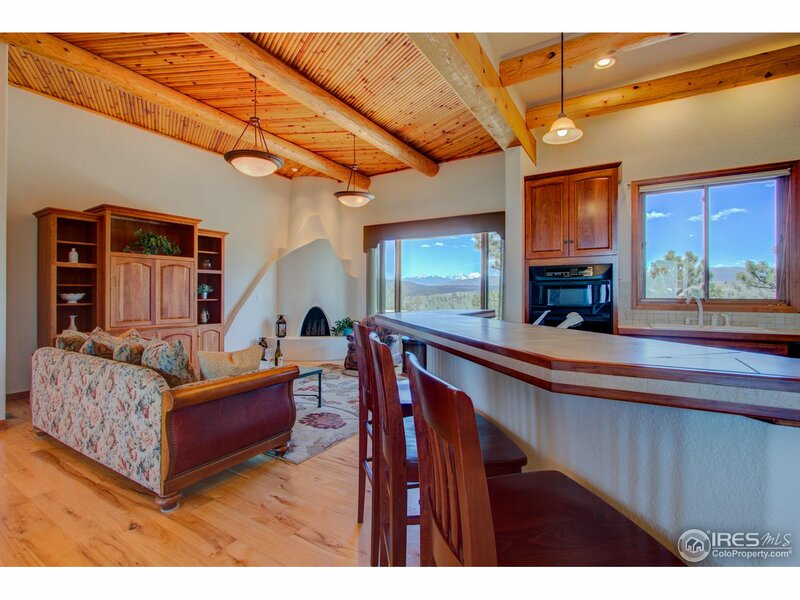 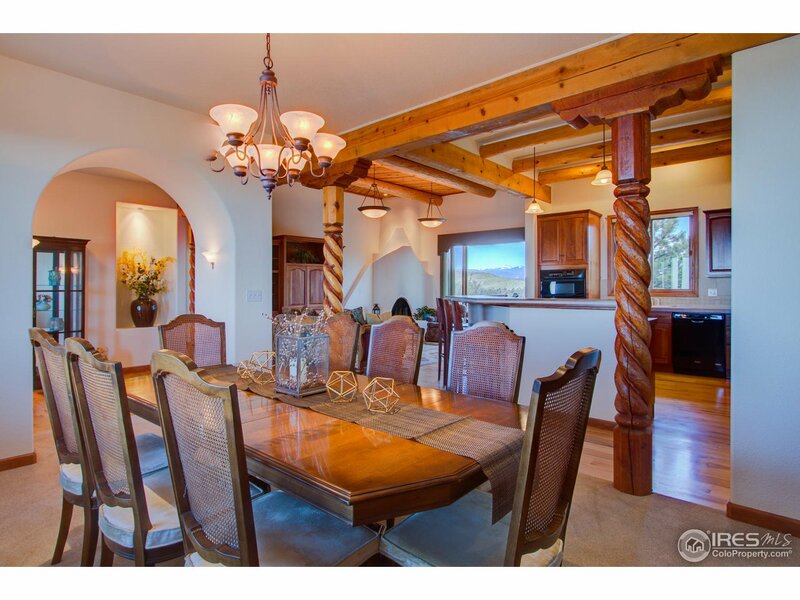 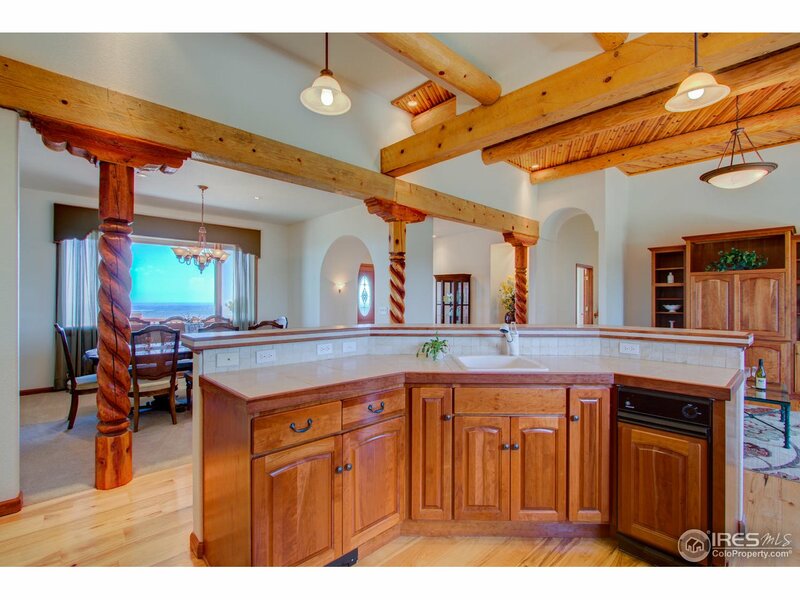 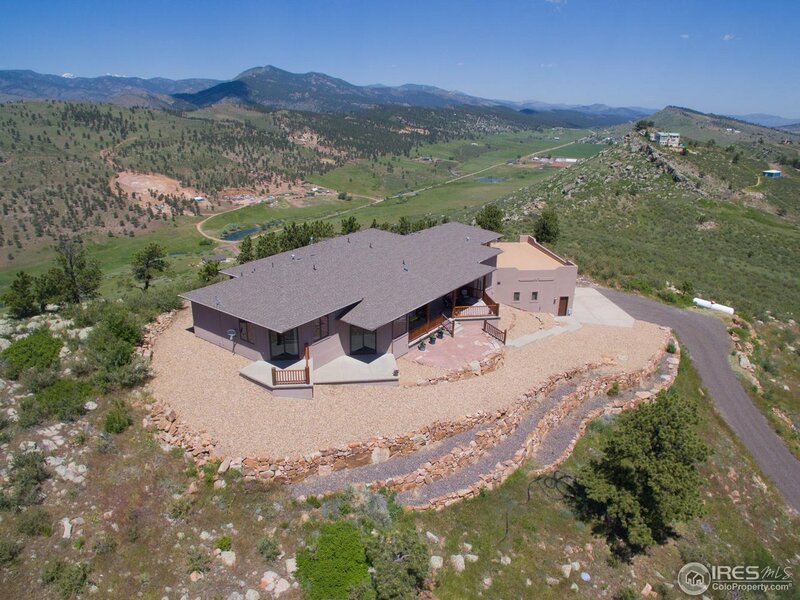 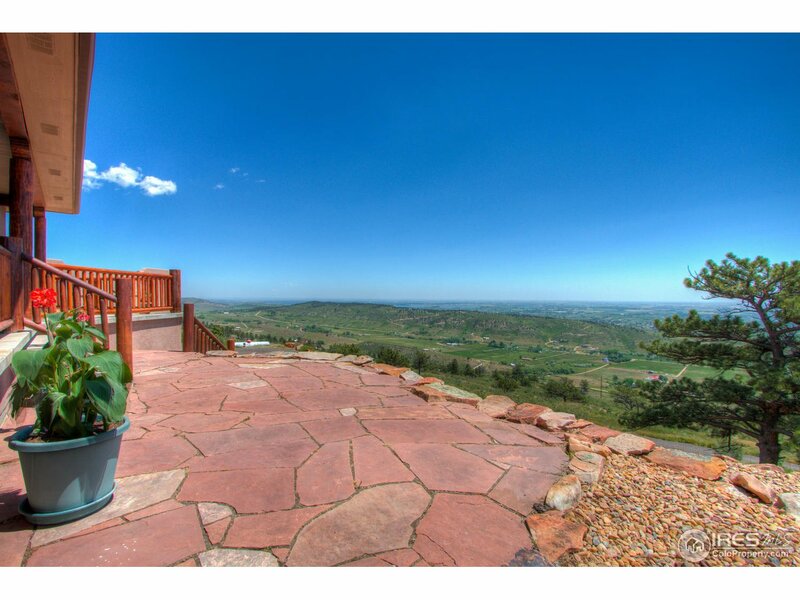 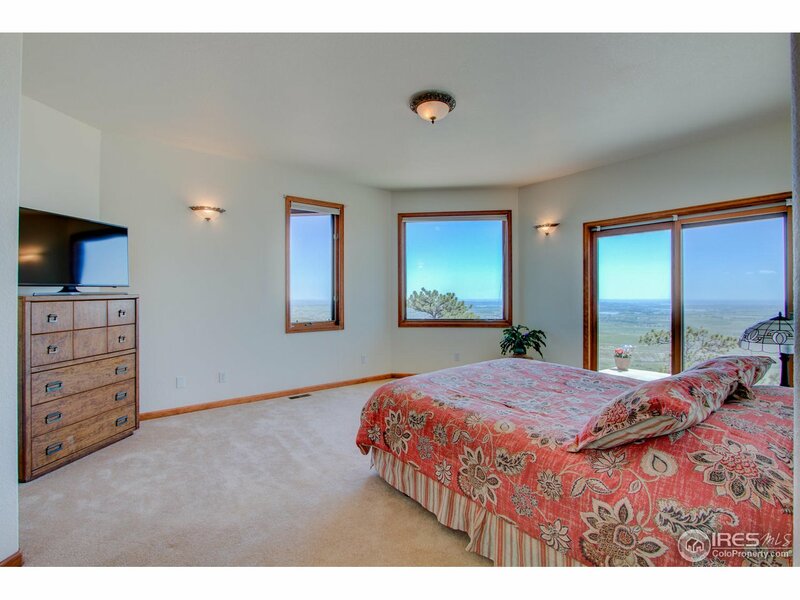 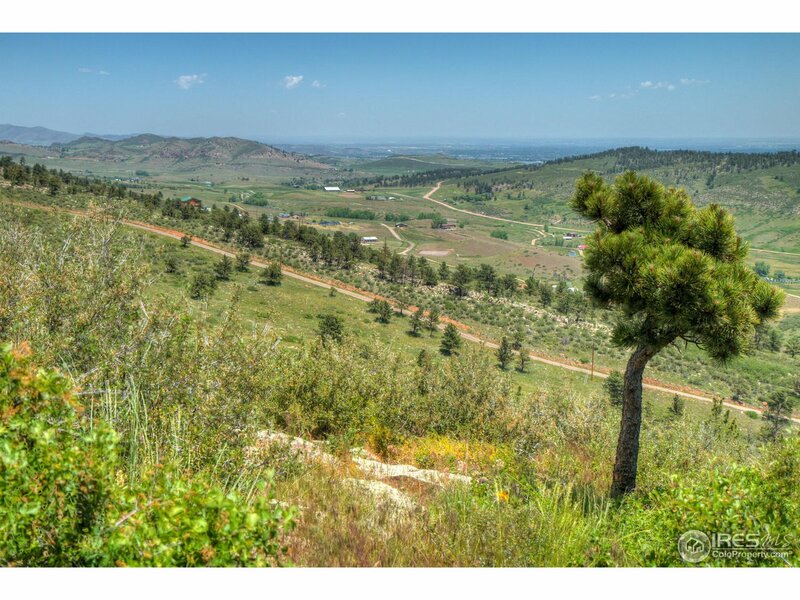 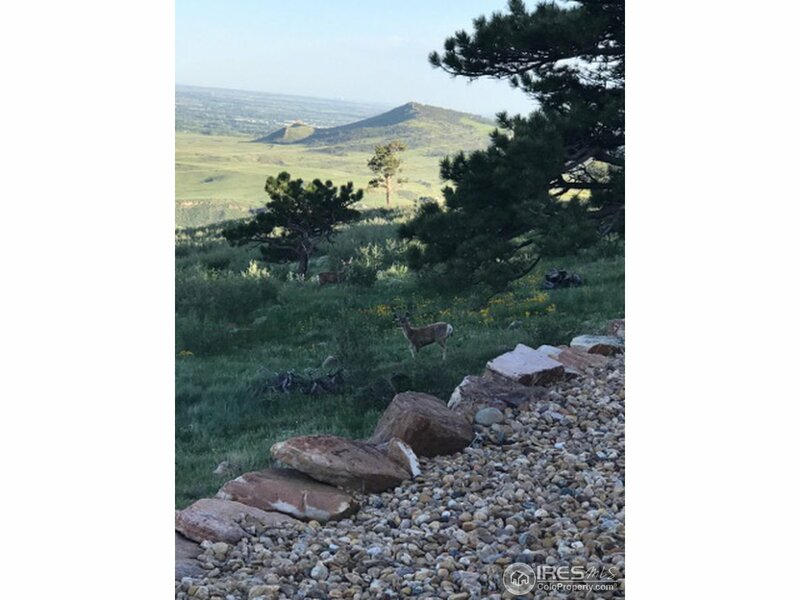 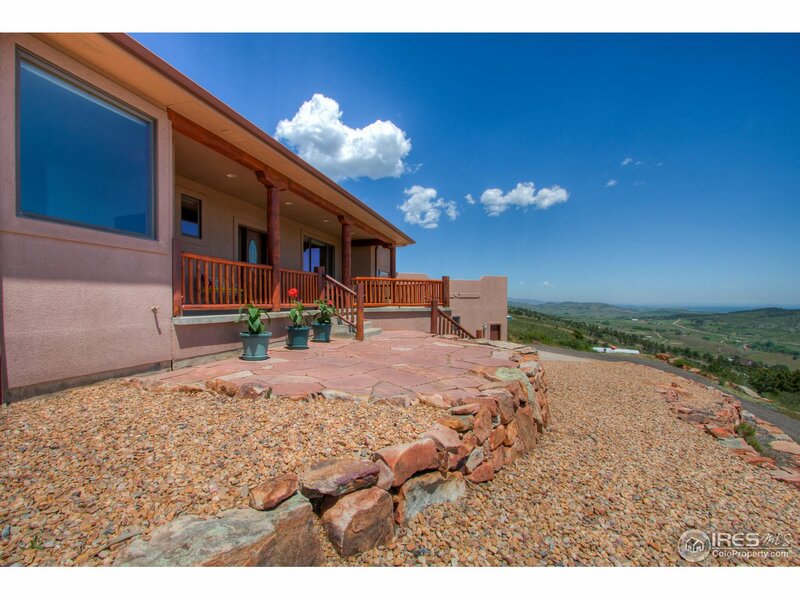 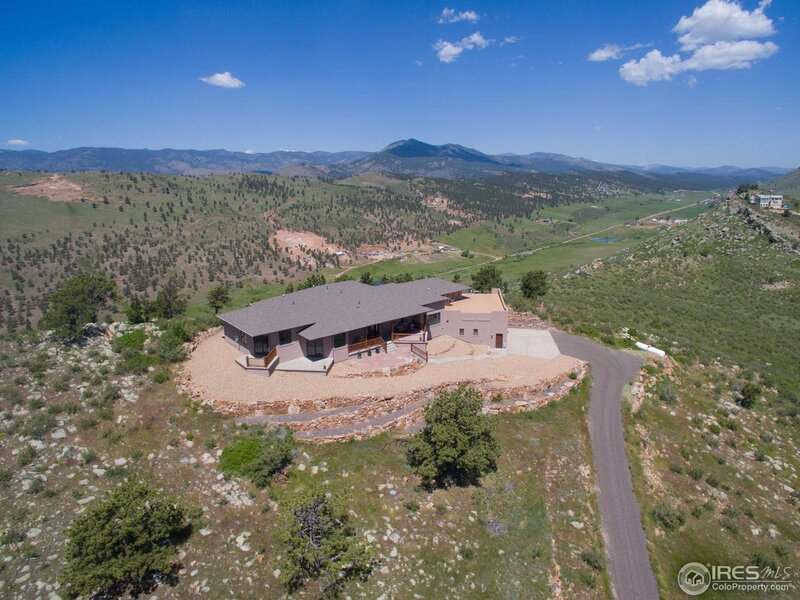 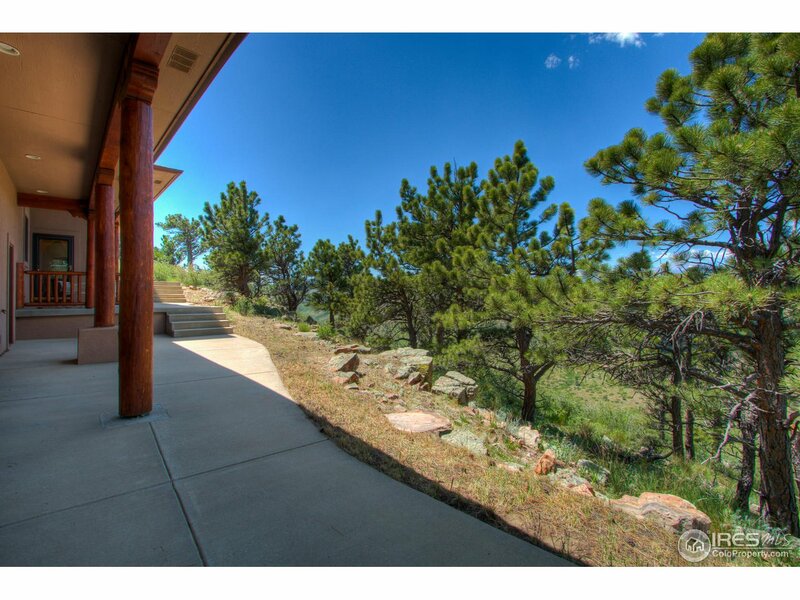 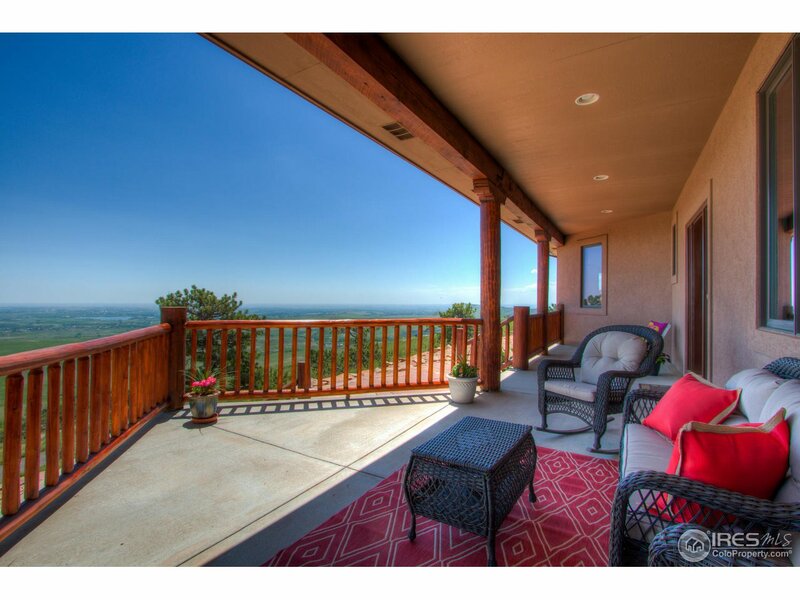 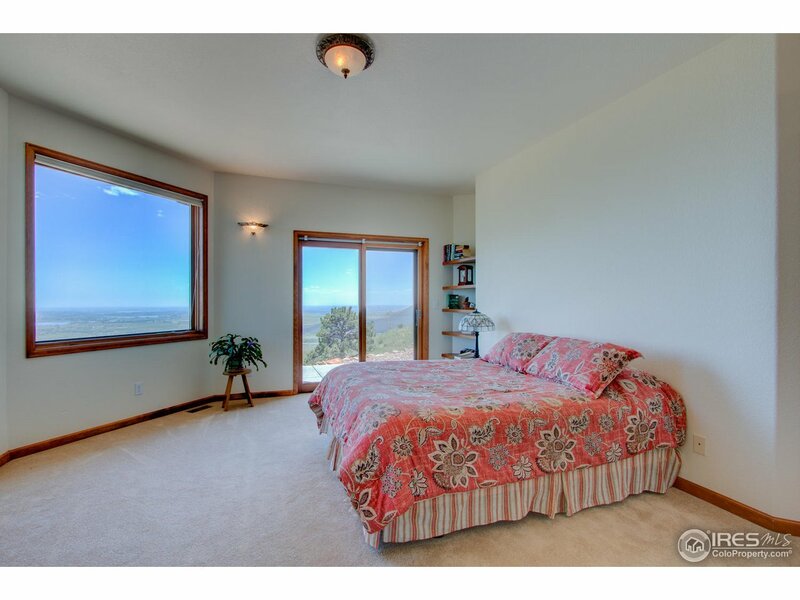 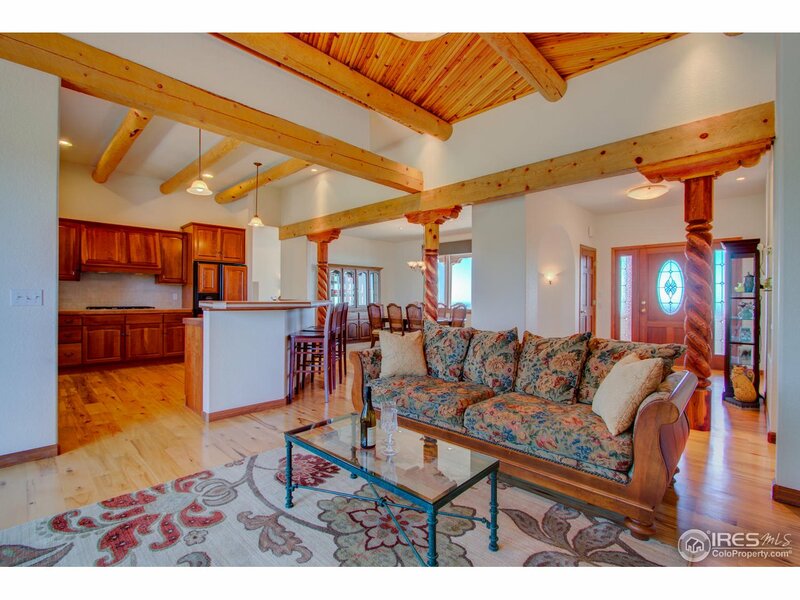 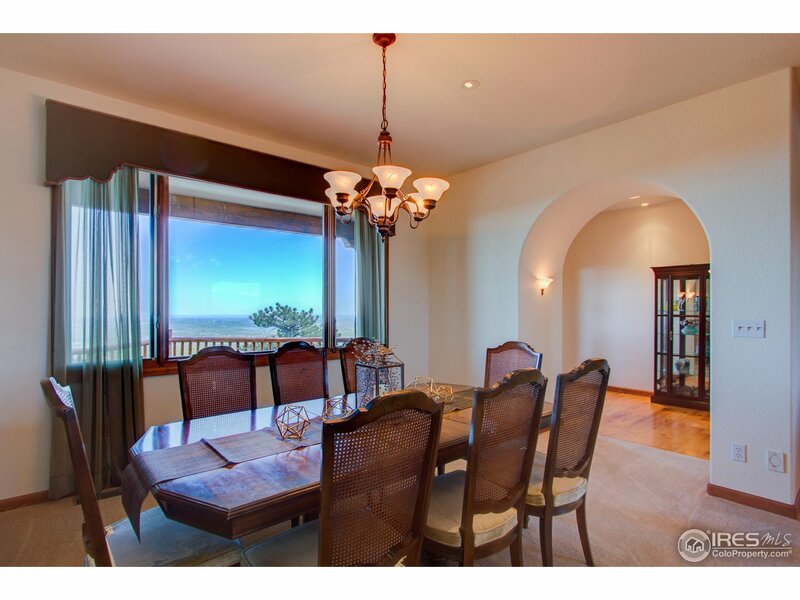 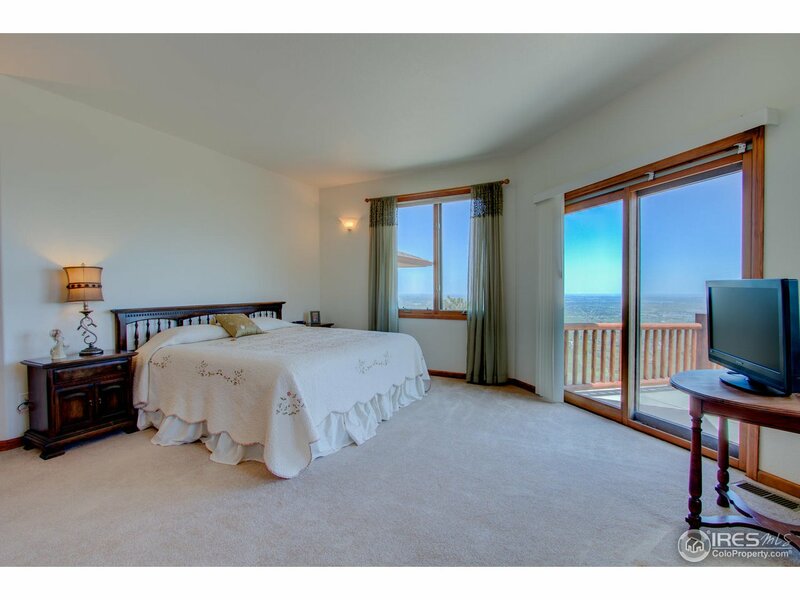 One of a kind fantastic Southwest style home located on a ridge top with phenomenal views North to Horsetooth Reservoir & South to Pikes Peak and D.I.A. 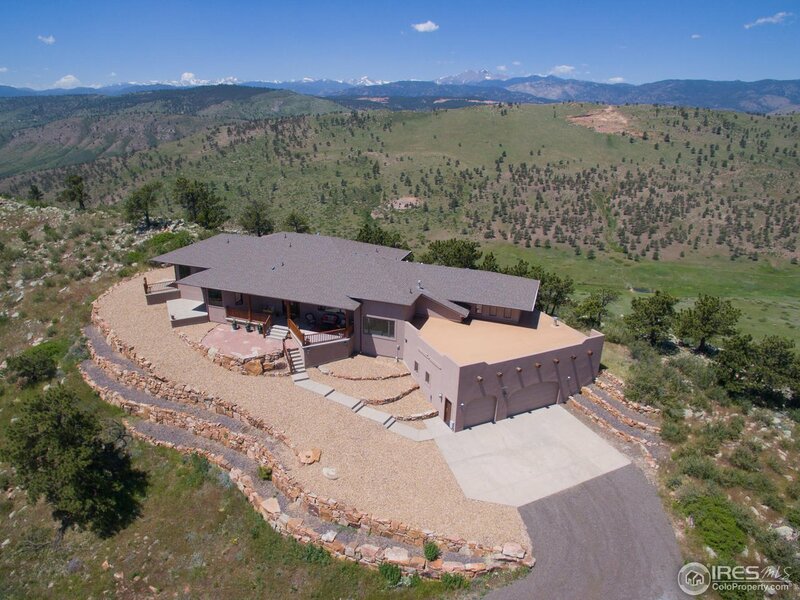 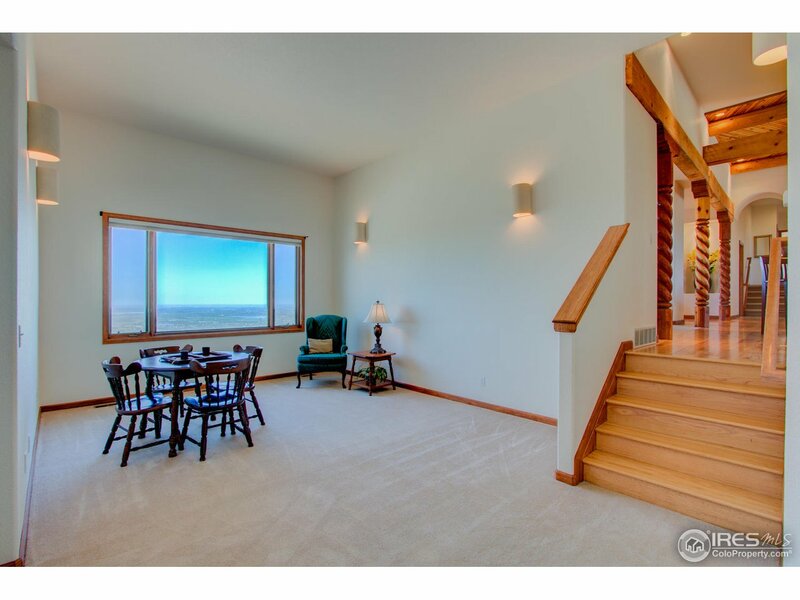 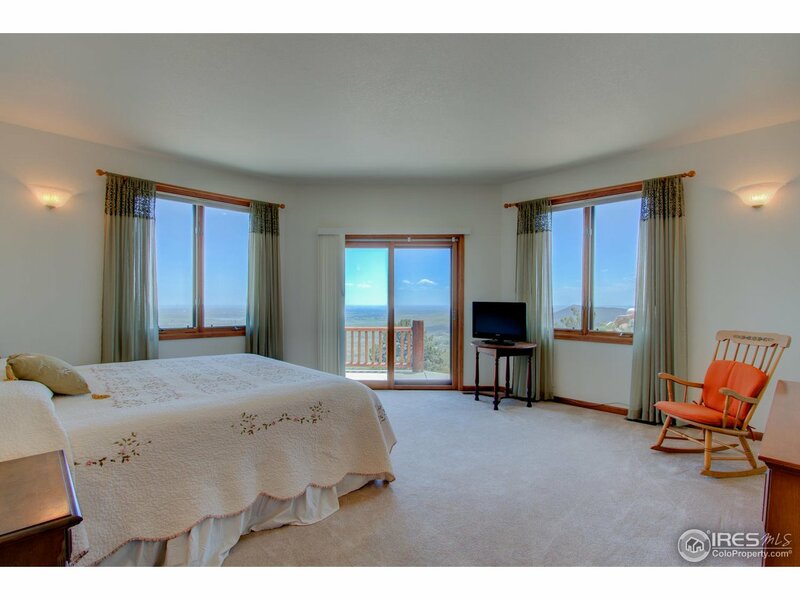 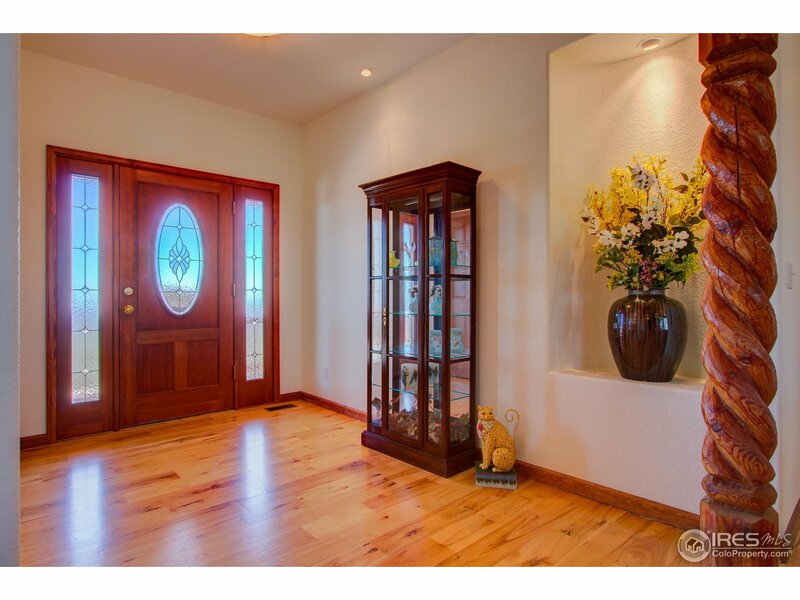 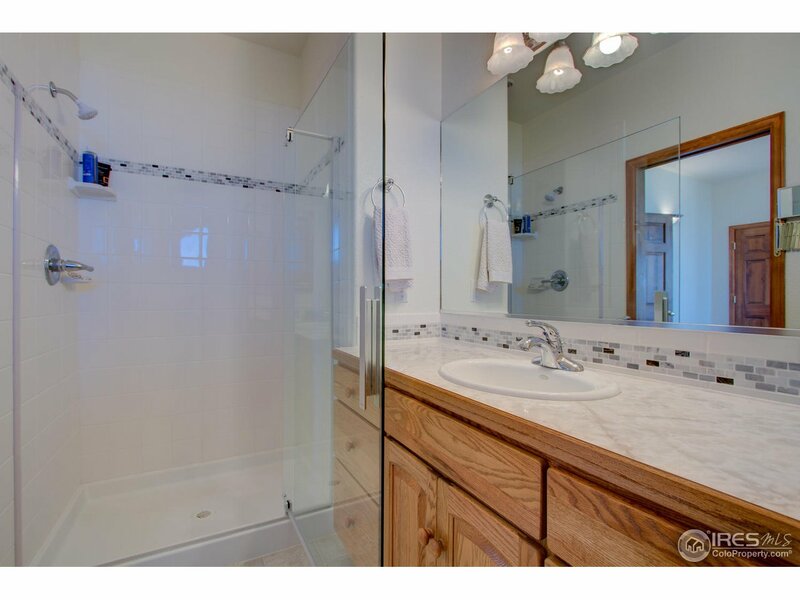 on 35 AC with 2 full master suites and indoor heated pool with jets. 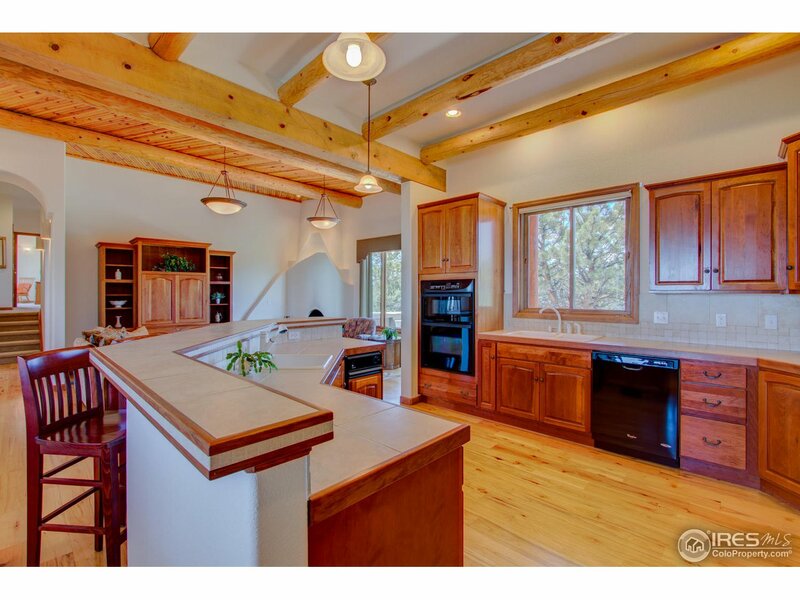 Masterpiece custom home built with attention to every detail including 6" knotty hickory wood flooring, 12' High Latilla ceiling with hand hewn log wood beams, Kiva corner gas fireplace & gorgeous kitchen with cherry cabinetry and upgraded appliances. 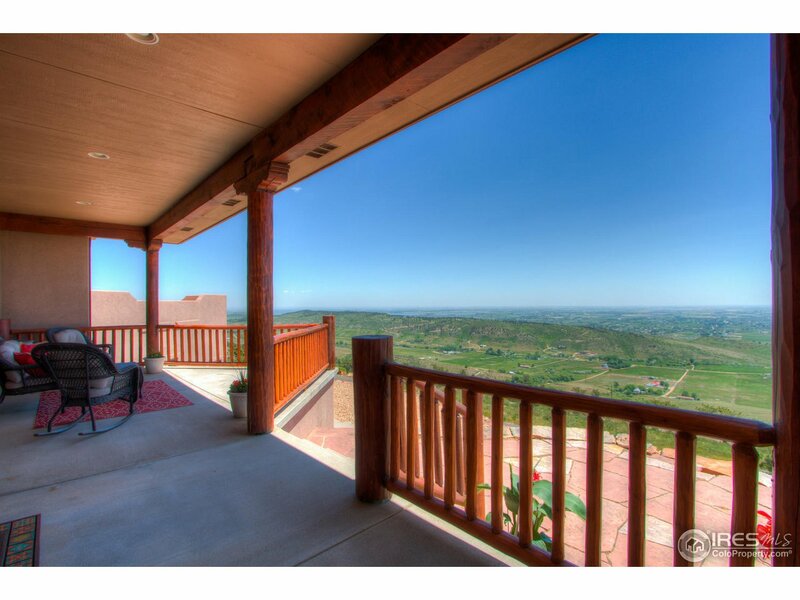 Outside entertaining areas with incredible 360 views.